Conducting thorough market research is the essential first step for any business attempting to establish a new brand, open a new location, or launch a new product or service. You may have been dreaming about ploughing your time and resources into any of these things for some time. In love with your idea, in your mind’s eye, you see whole swathes of customers queueing up at your door, simply itching to spend their money with you. Not so fast. Just because you want something to happen, doesn’t mean it will – no matter how much you believe in your grand idea. But that isn’t to say that you can’t make it happen. However, in order to do so, you will first need a thorough understanding of the market, your target customers, and indeed your competitors if you truly are going to make the big splash you’ve been dreaming about. 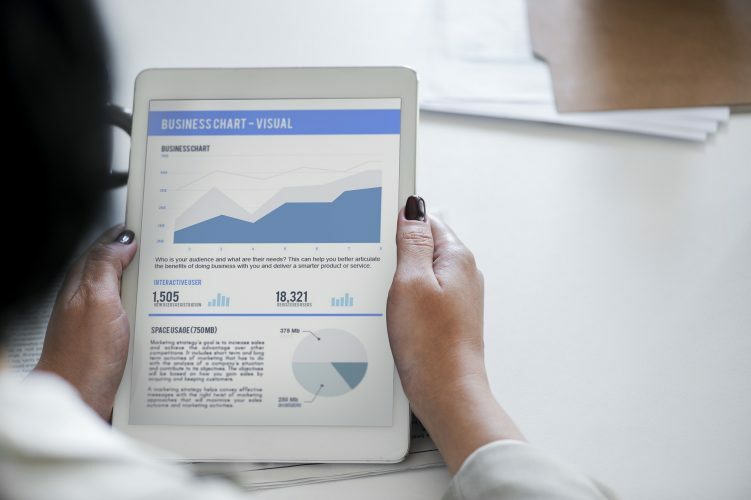 You will need a strong business plan backed up with data and analysis – not least to secure the loan you will likely need for your new business venture – and conducting comprehensive market research is the only way to produce it. The number one purpose of conducting market research is to gain a true understanding of the reasons why consumers will buy your product. Good market research will study everything from consumer behaviour (quantitative market research) to how and why cultural, societal and personal factors influence that behaviour (qualitative market research). Quantitative market research is based on hard facts that can be measured and analysed – often to determine things like market trends, where the demand is, and what your target customers are spending their money on. Qualitative market research, on the other hand, aims to understand why these trends and demands exist – i.e. the underlying reasons, opinions, and motivations that inform market and consumer behaviour. Market research is further split into two distinct categories – primary and secondary. Primary market research is the original research that you conduct yourself. It might include online polls, questionnaires or telephone interviews with randomly selected members of your target group. If you are already in business and are looking to launch a new product or location, you can also study your own sales records as part of your primary research. Secondary research, on the other hand, is the study of information that others have gathered about the market and your target customers. This might come from reports that are published online, blogs written by thought leaders in your industry, or other sources. In order to get the best possible results, you should conduct both primary and secondary market research, and aim to gather both quantitative and qualitative information. What Are You Trying to Find Out with Your Market Research? This is the question that you need to ask yourself at the very beginning of your market research undertaking – before you’ve conducted any telephone interviews, spoken to any existing customers, or mined the web for statistics. This is essential, for you need to be able to define your research objectives if you are to end up with meaningful data that you can actually use to inform your business plan. So – what do you need to know? 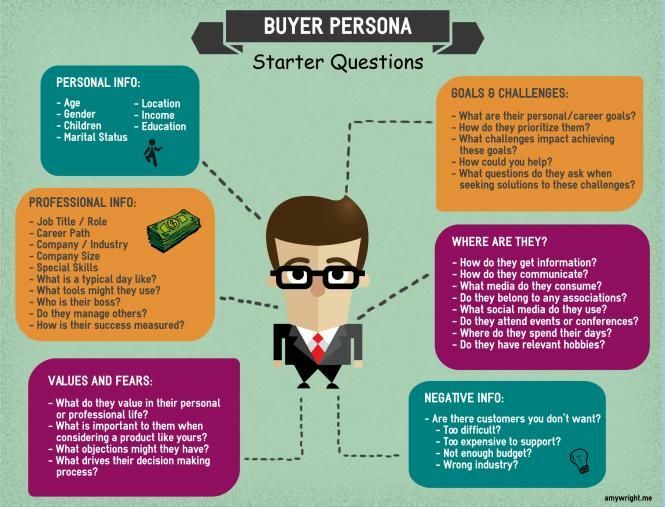 To answer this question, you will need to create buyer personas. These are simply semi-fictionalised profiles of your ideal customers, and will contain information about occupation, income, location, age, gender, education, and anything else that you deem necessary (such as if they have children, should you be launching a product aimed at parents, for example). What Are They Currently Buying? What are your target customers’ existing buying habits? You need to gather information that answers this question in relation to the industry that you’re entering. If, for instance, you’re trying to launch a new cleaning product, soft drink, or line of cookware, you need to know how often your target customers buy such things, who their favourite suppliers currently are (and why), as well as the predominant price points of the items. In addition, you need to find out how much are they spending now, if they would like to save money, or if they would be willing to spend a little more on a superior product or with a different brand that perhaps has a different value proposition (such as environmentally-sustainable credentials). Why Do They Buy What They Buy? This isn’t a simple question to answer. However, with a well-planned questionnaire, you should be able to extract the relevant information when conducting your primary market research. The answers that you gather, of course, will depend on the specific product and its uses. Buyers of cleaning products may be swayed solely by price, or they might have an affinity towards a certain brand that perhaps they can’t explain (though your job will be to get to the bottom of it). Soft drinks buyers may make their purchase decisions based on factors such as whether or not the product contains added sugar, or if the ingredients are organic. And cookware customers might be interested in non-stick surfaces or aesthetic appeal. Your market research will unearth the truth of the market, and allow you to understand what the demand really is for your product. What Will Make Them Buy from You? This is the most important question there is. For indeed, if you can find no reason that your target customers would switch to your brand, visit your new location, or take up your new service – as brilliant and life-changing as you know it is – then you simply haven’t got anything that the market wants, and will have to go back to the drawing board. However, by this point you will have an understanding of what motivates your potential buyers. It might be price, it might be convenience, it might be quality and reliability. Whatever it is, your market research will have put you in a position where you know exactly what you need to do to differentiate. Furthermore, not only will understanding what would make buyers switch enable you to produce a better product that speaks to their precise needs and solves their particular pain points, but you will have a wealth of information at your disposal that you can use to begin to form a marketing strategy that will make your message clear. The more data and information your market research unearths – and the better you use that information as you structure your business plan – the higher the odds of your success. There are essentially two routes you can go down in order to conduct market research – do it all yourself, or hire in market research professionals to do it for you. If you decide to upon the DIY route, here’s a quick guide for how to go about it. If you are just starting out, it will often be easier to begin with your secondary market research. This will typically begin with an online search for leading publications, recent case studies, and up-to-date research reports from key industry players. Sites such as Nielsen – which has research reports and studies on consumer behaviour across more than 100 countries – and the Pew Research Centre are excellent resources for conducting secondary market research. Gather all the information available to you, crunch the numbers, and begin to document your findings. No matter the size of your company, the best market research is the original research – the primary market research – that you conduct on your own (even if you hire a third-party to conduct it on your behalf). However, primary market research requires a much different approach to secondary research when it comes to gathering the intelligence you need. Customer surveys: You can conduct these via survey forms on your website, via email, or by through polls on social media. Alternatively, you can head out into town, clipboard in-hand, and carry out your surveys on the ground. In-depth customer interviews: These might take the form of one-on-one telephone interviews, or even videoconferencing. And again, there’s nothing stopping you from meeting people in the flesh. You could set up a stall in a town centre, or even go door-to-door. Mine social media: Don’t ignore the fact that you will be able to gather detailed research on customers – including their likes, dislikes, and product preferences – by spending time on social media (both Facebook and Twitter are excellent sources of this type of information). Today, consumers are very vocal on the web. They talk about the products they buy and the brands they interact with, and this means that you can gain a lot of important insight by paying attention to what’s happening online. Use #hashtags to search for relevant threads and discussions. Customer reviews: In a similar vein, you should also mine product reviews from ecommerce sites such as Amazon – for here, consumers are not shy at all about making their exact opinions known. Focus groups: A focus group is a gathering of deliberately selected people – i.e. those that fit your buyer persona profiles – to participate in a planned discussion intended to elicit consumer perceptions about your new brand, product, or location. Focus groups will likely reveal different things than one-on-one interviews due to the fact that members will freely interact and influence each other as they discuss the things that are put forward. In this sense, focus groups are an excellent way of gathering high-value qualitative research that considers a wide range of ideas and perspectives. Sales records: If applicable, take a close look at your existing customer and sales information and analyse it for trends – including peaks, troughs, and returned items. Employees: If you are already in business, don’t forget to survey your employees for their opinions. If you have sales associates working every day on the shop floor, they will likely be a fount of information about commonly asked questions from customers, and will have plenty of observations about customer behaviour in general. Website analytics: Who’s visiting your website? What are they reading and downloading? What are they buying? Which pages have the highest bounce rate, and which are the most popular? Where are they coming from – search, paid ads, or social media? This should all be part of your primary research – and you can use free tools like Google Analytics to get the precise numbers. Competitor analysis: You will also need to conduct competitor research. For this purpose, you should focus on companies that are similar to yours. Consider those that are of a relative size, serve the same geographic area, have a similar ownership structure, and of course sell a similar product to a similar type of customer. By understanding exactly what your competitors do, how they do it, and the customers they serve and attract, you will be able to ascertain exactly what you need to do to differentiate. You should look for things that your competitors do well, and what you could do better. Use a chart to display your strengths and weaknesses against your closest rivals. 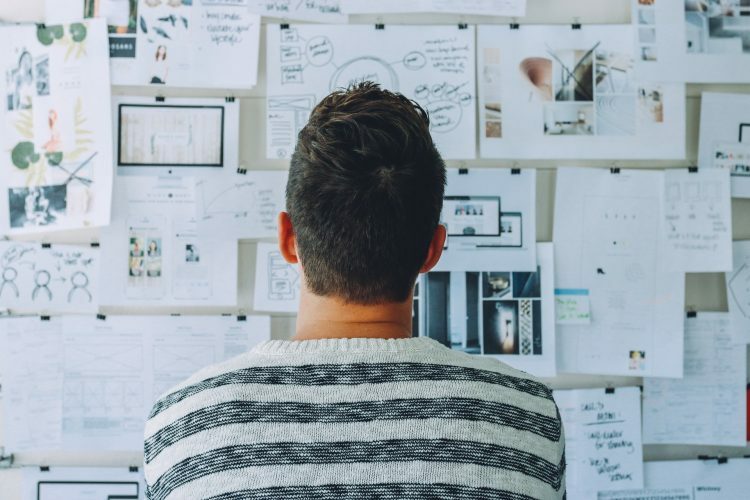 No matter what new venture you’re planning, it’s vital that you conduct thorough market research – not only to ensure that your idea is viable, but, if it is, to give yourself the very best chance of maximising success. Market research eliminates the need to take decisions based solely on instinct or guesswork by enabling you to gain a comprehensive understanding of your industry, your target customers, your competition, and of course your product. With this information in hand, you can create a robust business plan, and your chances of success will be vastly improved. If you need help with any element of your market research, then please do not hesitate to get in touch with us here at Cope Sales & Marketing – www.cope-salesandmarketing.com – today. With our market research expertise, we can add huge value to your business no matter your stage of growth. We look forward to hearing from you.